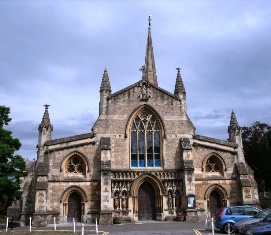 St John's has good links with its local church, the Church of St John the Baptist, Frome. The school views the church as an extension of itself. Visits to the church are commonplace throughout the year, not just confined to Christian festivals. For example, reception children visit the church as part of their school induction during the first term so they become familiar with the building and its purpose.